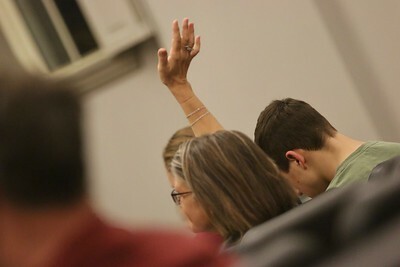 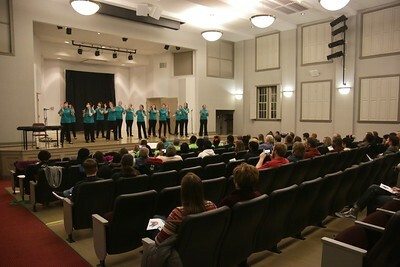 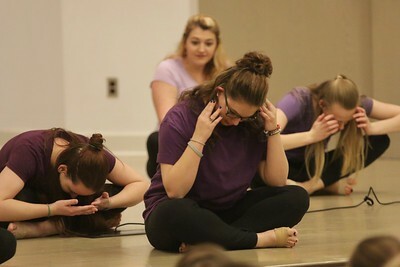 On Saturday evening at 7:00pm, students, faculty, and members of the community filled Blanton Auditorium for the annual MegaBash Benefit Concert hosted by Joyful Hands. 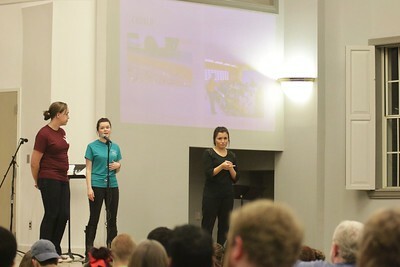 This concert featured Joyful Hands, Heart of Fire, Acafelons, and the Gospel Choir all in an effort to raise money for the Haiti Deaf Academy. 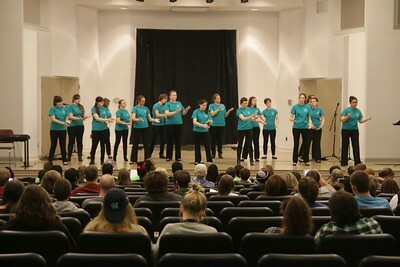 Joyful Hands opened up the night with a signed performance of "Where I Belong" by Building 429. 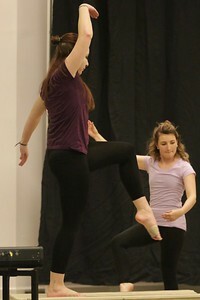 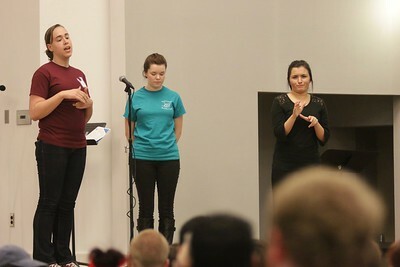 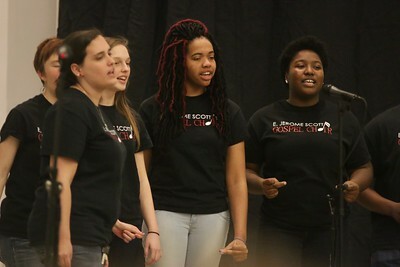 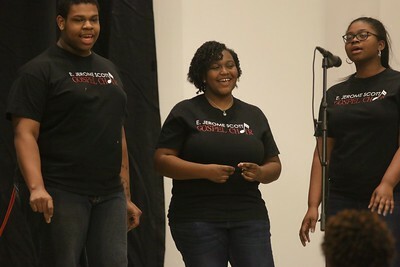 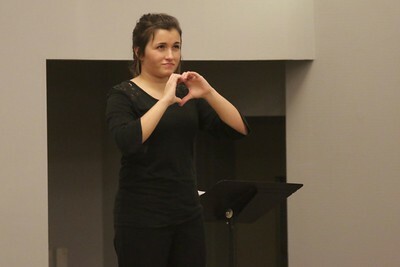 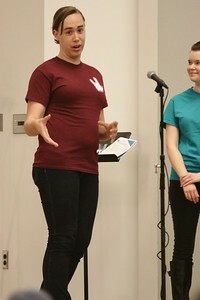 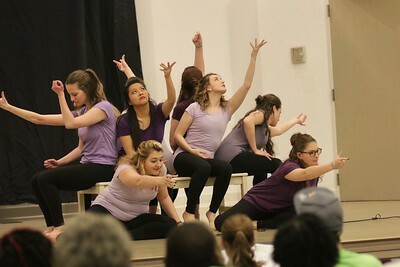 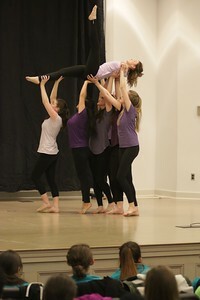 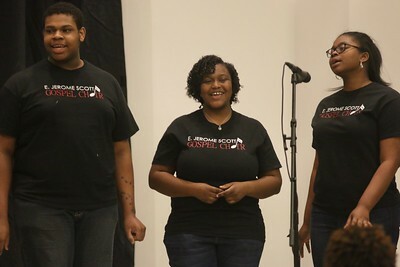 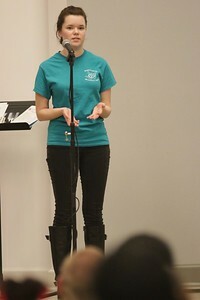 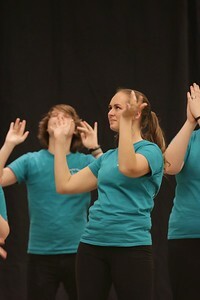 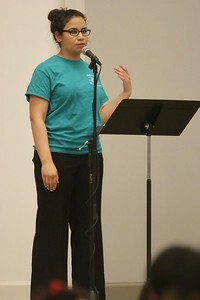 Marissa Richardson, Senior ASL Major, introduced all of the performances during the concert. 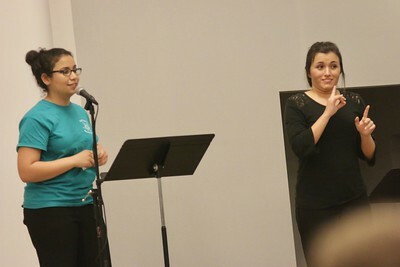 Senior, Rian Fischer and Junior, Lexi Keller shared with the crowd a little bit about what their trip last Spring Break was like to the Haiti Deaf Academy and what the money raised at the Benefit Concert would be going towards. 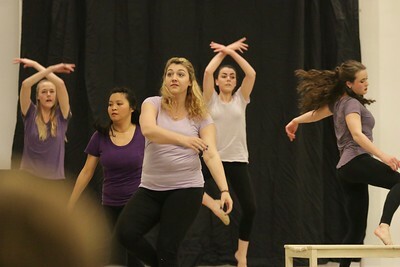 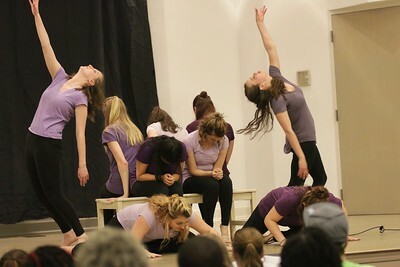 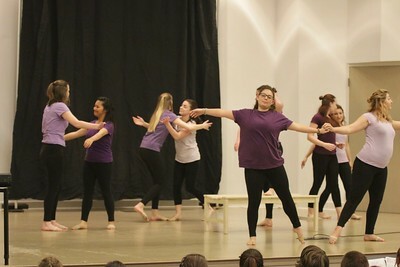 The Heart of Fire Dance Team then gave their first performance of the night to Casting Crown's song, "Broken Together." 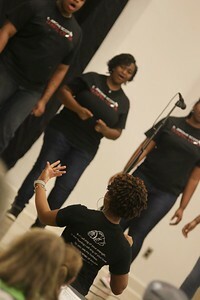 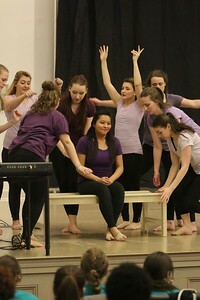 Junior, Morgan Ransom interpreted for part of the concert. 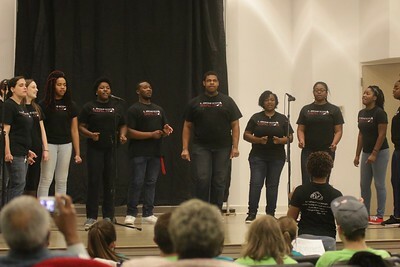 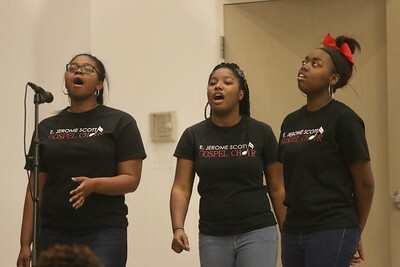 Gospel Choir came up and performed "We Sing Praises" and "Spirit Break Out," providing a time of worship for all in attendance.